Our popular outdoor terrace, available May 15 - October 15, is the perfect spot for lunch on a sunny afternoon, dinner and drinks under the stars, or a festive private party. 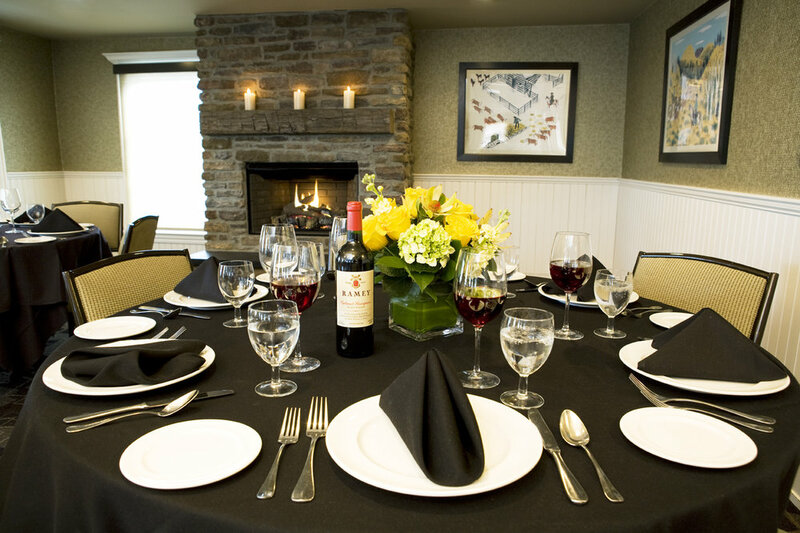 The space is complete with a stone fireplace and herb garden, perfect for any occasion. The Terrace is one of the most sought after venues in New Jersey, Call today! Located on the second floor of our beautifully refurbished farmhouse; this private room, featuring vaulted ceilings, cocktail porch, and private restrooms, is an intimate and unique gathering space for rehearsal dinners, smaller weddings, birthday and anniversary celebrations, and business meetings.